We have some awesome non-Target deals for today. Save 45% or more on Fossil bags & accessories, 50% or more name-brand denim for women, clearance items up to 60% off at Nordstrom & more. I am excited about the daily deal at Amazon, save 45% or more on Fossil bags, watches & more for women & men . Save big on handbags, necklaces, bracelets & more. 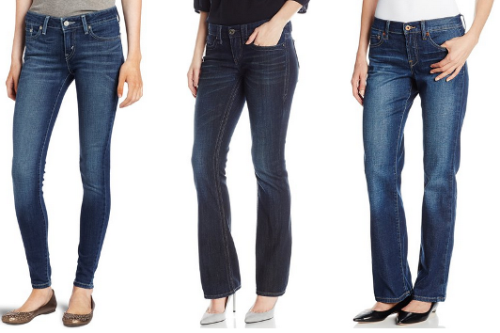 The bonus deal of the day at Amazon is save 50% off or more on denim for women . Popular brands include, Lucky Brand, Levi”s, Calvin Klein, Lee & more, with prices as low as $22.99 (reg prices $46-$134). All of theses jeans will ship for FREE with Amazon Prime or Super Saver shipping. Keep in mind, Amazon offers FREE returns, so if you get a pair that doesn’t fit, simply return it hassle free, and you can do it all online. All of these items will ship for FREE with Amazon Prime or Super Saver shipping. Both of these Amazon deals and prices are valid today (3/27) only, while supplies last. Big sale at Nordstrom.com, up to 60% off on apparel, shoes & accessories for the whole family. Even better, you’ll get FREE shipping and returns too! 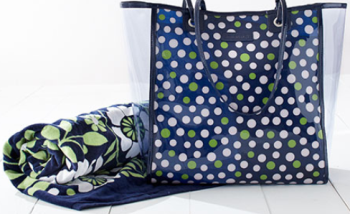 Vera Bradley is offering FREE shipping on any size order, through today only. This deal gets even better because you can save up to 50% off select styles in their sale section. Through 3/29, you can pick up the Resort Bundle for $75 (reg $93). Bundle includes a nice size tote and beach towel, great deal with summer right around the corner.